Any microphone with a diaphragm larger than (and potentially including) 3/4″ is considered to be a Large Diaphragm microphone. In general, Large Diaphragm microphones tend to have a “big” sound that engineers find especially pleasing where a little more character might be advantageous, such as is the case with most vocals. Large diaphragms are generally more sensitive than small diaphragm or medium diaphragm mics because of the increased surface area. A common myth is that large diaphragm mics capture more low frequencies than small diaphragm mics. Sometimes their colouration may make it sound like this is the case, but a properly designed small diaphragm mic is more likely to be accurate throughout a wide range of frequencies, whereas the coloration of a large diaphragm mic can tend to enhance certain desirable characteristics in a sound, which sometimes amounts to more apparent bass or low end. The definition of Medium Diaphragm is a potentially controversial subject. Historically there have been large diaphragm and small diaphragm mics, but more recently the medium size has begun carving out its own category, though not everyone agrees on the precise upper and lower limits. Most professionals and manufacturers agree that any microphone with a diaphragm near 5/8″ to 3/4″ can be characterized as a Medium Diaphragm microphone. Generally speaking, Medium Diaphragm microphones tend to do a good job of accurately catching transients and high frequency content (as a small diaphragm would) while delivering a slightly fuller, round and potentially warmer sound (as a large diaphragm might). 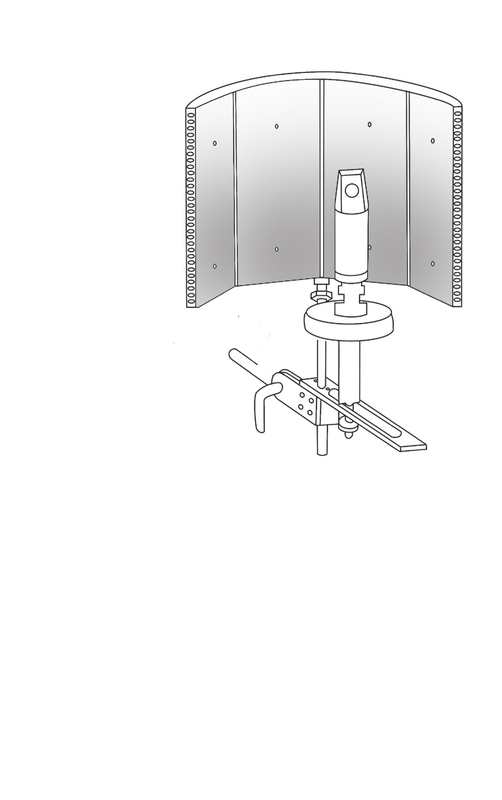 While there are no final standards regarding a diaphragm size that defines Small Diaphragm, most professionals and manufacturers agree that any diaphragm smaller than 5/8″ would be considered a Small Diaphragm. Generally speaking, Small Diaphragm microphones tend to do a good job of capturing high frequency content and transients. They will tend to have a bit more “air” to their sound and often have less coloration than medium or large diaphragm microphones. Most of this is due to the reduced mass of the smaller diaphragm, which allows it to more closely follow any air disturbances it is subjected to. WHAT IS A MIDI CONTROLLER KEYBOARD? Basically a MIDI Controller Keyboard is way of communicating with a Synth or a sampler or a Computer running a VST instrument or other software based Sound generator. 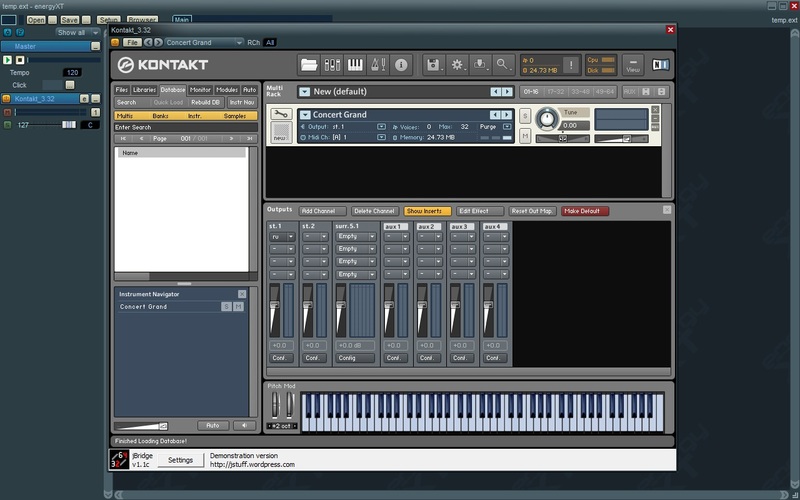 It is possible to play music via a computer by simply entering data into the DAW via the QWERTY key board, but it’s not very musical. Keyboard controllers are usually based on a standard piano keyboard. Pressing down a key allows a Note On/Note Off message to be sent to a receiving device, a sampler maybe, telling it exactly which note to sound. At the same time a velocity message is transmitted, showing how hard the key was struck. Compared to a real piano, most keyboard controllers have small keys and provide a playing range of just a few octaves. They usually have no internal sounds of their own. 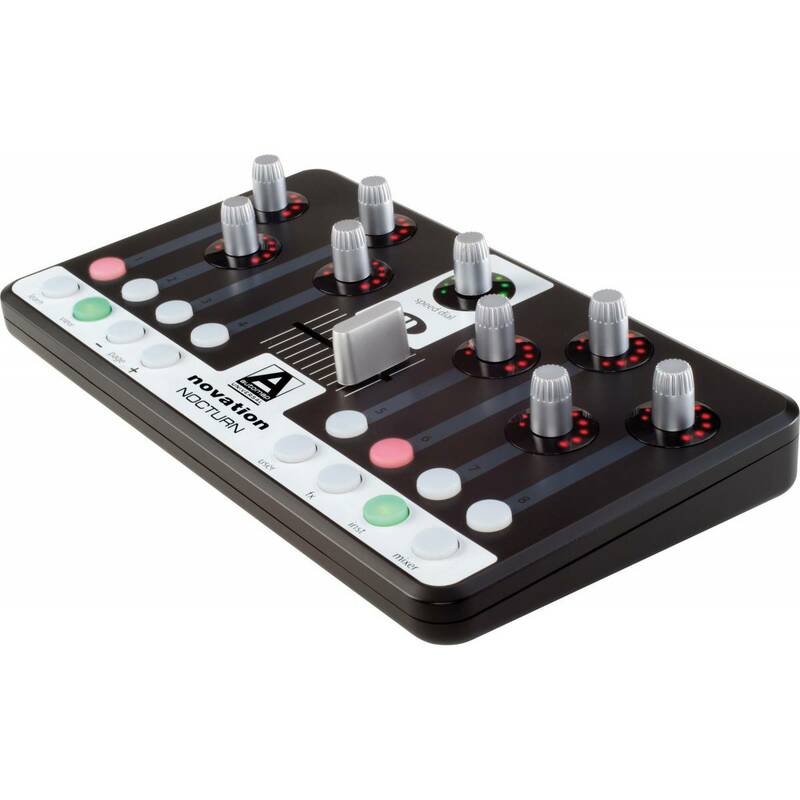 Many units also come with various sliders, knobs and pads which can be assigned to control other MIDI functions linked to filters and Oscillators. The Controller usually connects to the computer via a USB port, doing away with the need for a MIDI interface. 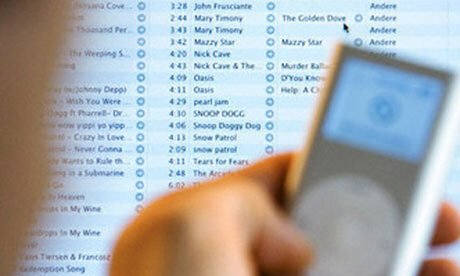 Most software can recognise the USB as a MIDI Device. 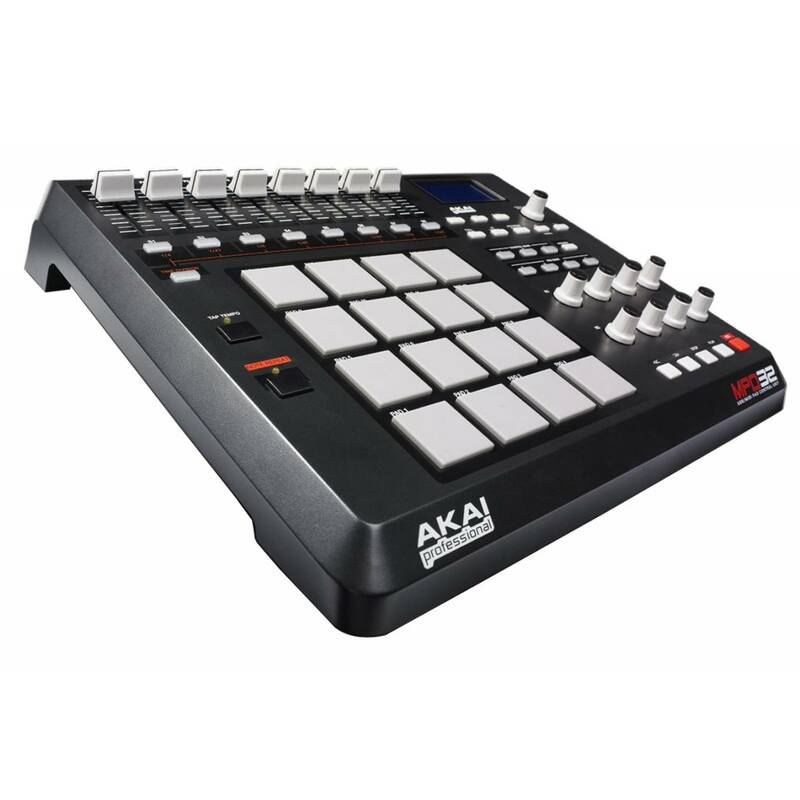 As well as devices based on a Piano keyboard, there are many controllers available which are based around a series of pads, or sliders and knobs, as well as dedicated controllers for software packages like Ableton Live. They basically all work the same way, sending MIDI controller data to the computer or synth, and allowing the user to manipulate the sound in a much more tangible and intuitive way. These are specialised ‘Drum Kits’ or individual drum like elements that allow the user to play sampled or computer generated percussion sounds in an authentic way. * What’s a USB Microphone? A USB mic contains all the elements of a traditional microphone: capsule, diaphragm, etc. Where it differs from other microphones is its inclusion of two additional circuits: an onboard preamp and an analog-to-digital (A/D) converter. The preamp makes it unnecessary for the USB mic to be connected to a mixer or external mic preamp. The A/D converter changes the mic’s output from analog (voltage) to digital (data), so it can be plugged directly into a computer and read by recording software. Plug in your mic, launch your DAW and start recording. The condenser microphone is a very simple mechanical system, with almost no moving parts compared with other microphone designs. It is also one of the oldest microphone types, dating back to the early 1900’s. It is simply a thin stretched conductive diaphragm held close to a metal disk called a backplate. This arrangement basically produces a capacitor, and is given its electric charge by an external voltage source. This source is often phantom power, but in many cases condenser mics have dedicated power supply units. When sound pressure acts on the diaphragm it vibrates slightly in response to the waveform. This causes the capacitance to vary in a like manner, which causes a variance in its output voltage. This voltage variation is the signal output of the microphone. 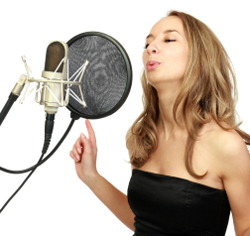 There are many different types of condenser microphones, but they are all based on these basic principles. A dynamic mic is one in which audio signal is generated by the motion of a conductor within a magnetic field. In most dynamic mics, a very thin, light, diaphragm moves in response to sound pressure. The diaphragm’s motion causes a voice coil that is suspended in a magnetic field to move, generating a small electric current. Generally less expensive than condenser mics (although very high quality dynamics can be quite expensive), dynamics feature quite robust construction, can often handle very high SPLs (Sound Pressure Levels), and do not require an external power source to operate. Because of the mechanical nature of their operation, dynamic mics are commonly less sensitive to transients, and may not reproduce quite the high frequency “detail” other types of mics can produce. Dynamic mics are very common in live applications. 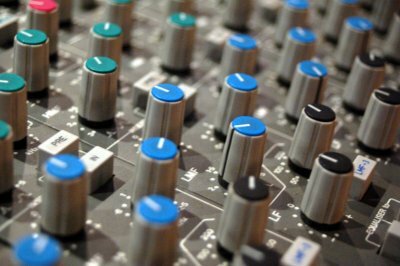 In the studio, dynamics are often used to record electric guitars, drums and more. A type of velocity microphone. A velocity microphone responds to the velocity of air molecules passing it rather than the Sound Pressure Level, which is what most other microphones respond to. In many cases this functional difference isn’t important, but it can certainly be an issue on a windy day. Very old ribbon mics could be destroyed from the air velocity created just by carrying them across a room; today’s ribbon mics can handle the rigors of daily studio use. A ribbon mic works by loosely suspending a small element (usually a corrugated strip of metal) in a strong magnetic field. This “ribbon” is moved by the action of air molecules and when it moves it cuts across the magnetic lines of flux causing a signal to be generated. Naturally ribbon mics have a figure 8 pick up pattern. You can think of it like a window blind; it is easily moved by wind blowing at it, but usually doesn’t move when wind blows across it from left to right. Ribbon mics were the first commercially successful directional microphones. EQ stands for Equalizer or Equalizing. An equalizer is a device which allows someone to equal out the tonal characteristics of a sound. They were originally conceived to help get a flat response down telephone lines, and to make up for the deficiencies in low end HiFi equipment. These days however, EQ’s are used much more creatively to boost certain frequencies and alter the relative balance of others in order to produce tonal effects within a recording. Good EQ’ing is a skill which is learnt over time and can be the most important tool in a recording or mix engineers bag. At the recording stage, good use of EQ can make instruments or voices ‘cut through’ better leaving less to do at mix down, and at mix down good EQ’ing can be used in place of volume boosting to improve a tracks definition within the mix. Here are a list of frequencies that are useful to remember when recording or mixing down. To reduce the “boom” of the bass, BOOST at 50 Hz. To “un-bury” overtones, BOOST at 50 Hz. To increase the bass line in a final mix, BOOST at 50 Hz. To increase loud rock bass lines, BOOST at 50 Hz. To add a harder bass sound to lowest frequency instruments, BOOST at 100 Hz. To add more “power” to lowest frequency instruments, BOOST at 100 Hz. For increased clarity of bass guitar, cello, or upright bass; BOOST at 1.5 kHz. For punchier bass guitar, cello, or upright bass; BOOST at 800 Hz or at 1.5 kHz. For more “pluck” of bass, BOOST at 3 kHz. For more “finger sound” on bass, BOOST at 5 kHz or at 7 kHz. To add fullness to snare, BOOST at 100 Hz. To add fullness to snare for a harder sound, BOOST at 200 Hz. To reduce gong sound of cymbals, CUT at 200 Hz. To reduce “cardboard” sound of lowpitched drums and toms, CUT at 400 Hz. To reduce ambiance on cymbals, CUT at 400 Hz. For greater attack on low frequency drums, BOOST at 5 kHz. For greater attack on floor or rack toms, BOOST at 5 kHz. To add attack on low frequency drums a more metallic sound, BOOST at 7 kHz. To give snares a more metallic sound, BOOST at 7 kHz. To add attack to percussion instruments, BOOST at 7 kHz. For added hardness on cymbals, BOOST at 10 kHz. To brighten cymbals, BOOST at 15 kHz. To create a “cave sound”, BOOST at 100 Hz. To reduce muddiness of mid-range instruments, CUT at 200 Hz. To bring a part forward, BOOST using a broad parametric EQ “bell” centered at 2 kHz. To send a part backward, CUT using a broad parametric EQ “bell” centered at 2 kHz. To make background parts more distant, CUT at 5 kHz. To add fullness to guitars, BOOST at 100 Hz. To remove boom on guitars, CUT at 100 Hz. To add clarity to guitars, CUT at 100 Hz. To add fullness to guitar for a harder sound, BOOST at 200 Hz. To make “cheap” sounding guitars sound less cheap, CUT at 800 Hz. To remove dullness of guitars, BOOST at 1.5 kHz. For more attack of electric or acoustic guitar, BOOST at 3 kHz. To disguise out-of-tune guitars, CUT at 3 kHz. To accentuate the attack of acoustic guitar, BOOST at 5 kHz. To add brightness to guitars, especially rock guitars, BOOST at 5 kHz. To soften “thin” guitar, CUT at 5 kHz. To add sharpness to rock guitar or acoustic guitar, BOOST at 7 kHz. To brighten string instruments, BOOST at 15 kHz. 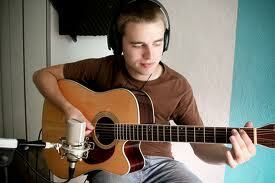 To add “light brightness” in acoustic guitar, BOOST at 10 kHz. To add warmth to horns, BOOST at 100 Hz. To reduce shrillness of horns, CUT at 5 kHz or at 7 kHz. To brighten flutes and woodwinds, BOOST at 15 kHz. To add warmth to piano, BOOST at 100 Hz. For more attack on low piano parts, BOOST at 3 kHz. To accentuate the attack of piano, BOOST at 5 kHz. To add sharpness to synthesizers and piano, BOOST at 7 kHz. To make sampled synthesizer sound more real, BOOST at 15 kHz. 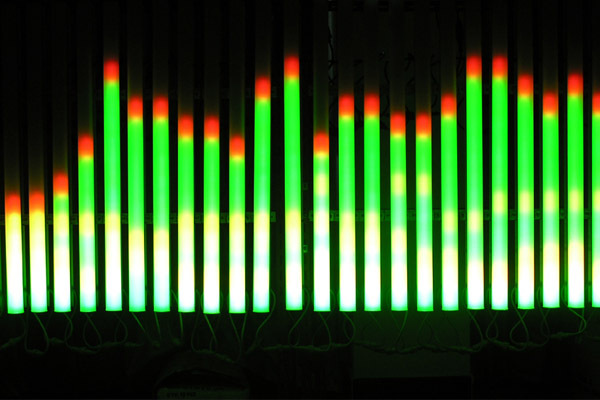 To add “light brightness” for a piano, BOOST at 10 kHz. To add fullness to vocals, BOOST at 200 Hz. To reduce muddiness of vocals, CUT at 200 Hz. For more clarity or hardness on voice, BOOST at 3 kHz. To disguise out-of-tune vocals, CUT at 3 kHz. For greater vocal presence, BOOST at 5 kHz. To brighten a dull singer, BOOST at 7 kHz, or send them to college. To brighten vocals, BOOST at 10 kHz. To reduce sibilance, which is the “s” sound, on singers, CUT at 7 kHz or at 10 kHz. To brighten vocals by emphasizing breath sound, BOOST at 15 kHz. My Space and its brethren are still a good way to get your music up and ‘out there’. Nowadays there are any number of dedicated music upload sites, and each has its own merits, however, the aim is the same… get your music heard!!! Websites have never been cheaper or more easy to maintain and update so ensure you have a good focused presence online as it also looks a lot more professional. Check out some of the ‘template’ based builder sites to get yourself up and running quickly with the added advantage that the are a number of them now doing easy to set up digital download shops to help you sell through your music online. Regular profile/website updates will also keep things interesting for returning fans. News stories about what you’ve been up to or where you played last, plus upcoming gigs, all this is the life blood of your profile. Biographies are a great way to let people know about who you are and why you make the music you do, but DONT MAKE THEM BORING!!!! If you ain’t signed to a label or publishing deal, you need to do as much as you can to get people to hear your music, and the odd free giveaway track can help a lot especially if you can target the multitude of blogs covering new music, which will help spread your name further. If someone is nice enough to get in touch with some praise, or leave a nice comment on your you tube clip, try and get a personal reply back to them. It’s a nice thing to do and people will remember you for it. Nothing says professionalism like having your songs available to buy on the world’s largest online music store. 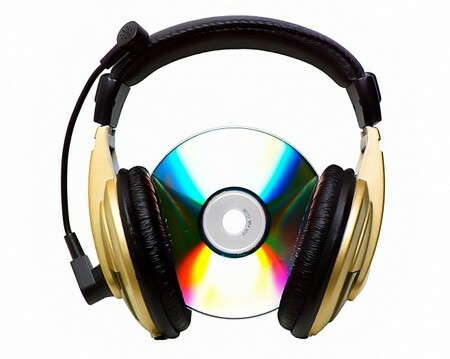 Websites such as CD Baby and Bandcamp can get your tracks online for a small charge – you can then link to your songs in the store from your website/profile. 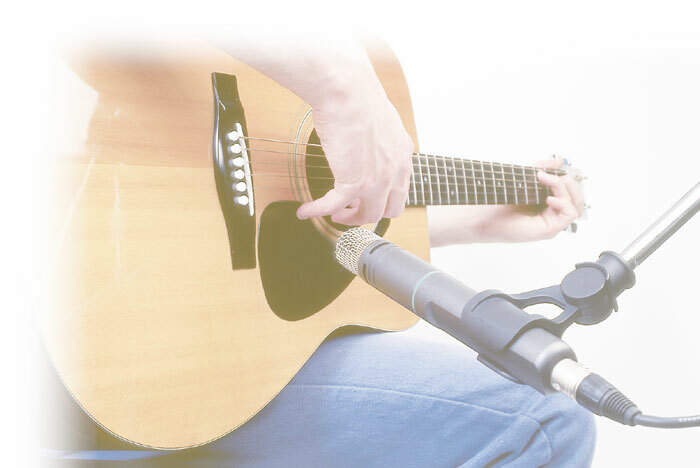 One of the commonest instruments used in popular music, the Acoustic guitar can also be one of the most difficult to record for a home or budget studio. In this piece we look at some simple rules and concepts that should ensure you get the best recording possible. The first thing to remember is that if you get a good initial recording, it saves the amount of processing you have to do at the mix down stage, and this is a GOOD THING! Acoustic guitars are sometimes referred to by engineers as ‘Jangle Boxes’, and with good reason. As a rule they send out frequencies from all over the place, and the sound a listener hears when they stand in front of a live acoustic player is a combination of all those different frequencies at once. So one of the first things to consider is the guitar itself. Make sure it sounds as good as it can before you even begin to record it. Does it need new strings? Is it properly in tune? Does it sound good? 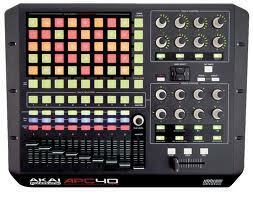 Is there any chance of borrowing a better one for the recording. Sounds simple, but it’s very important, if the guitar doesn’t sound right before you start, its unlikely to get any better later on. Once you have the best sounding instrument you can get, take a look around you. What is the room doing to the sound? Is it a big wide expansive room that allows natural reverb and an airy ‘live’ feel, or is it a small bedroom filled with soft duvets and pillows and curtains that will swallow all the signal and leave you with a flat, dead sound going into the mic? Again, these are hugely important considerations, If you capture the sound of a Cathedral echo as part of your recording, its VERY difficult to get rid of it. Generally speaking the best microphone for the job will be a condenser mic. 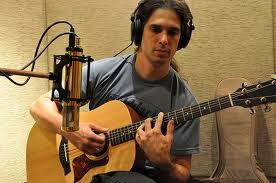 They are generally much better at handling the higher end frequencies that an acoustic guitar puts out. 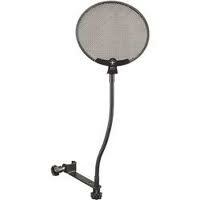 The next decision is whether to use a Mic with an OMNI pattern or a CARDIOID pattern. The OMNI pattern will be much better at picking up both the guitar and the sound of the room, whereas the Cardioid will take much more of the guitar, and is therefore a good choice for a smaller room. There have been millions of pages written about Mic placement, and in truth its one of those esoteric arts that each engineer will have their own theories about. However, there are a couple of simple rules that apply to almost every situation. Most of us are familiar with seeing the image of a guitar player on stage, with a microphone placed very close to the soundhole, but miking on stage is a different art to miking in the studio. In the studio, you have the luxury of trying different mic positions, capturing a mixture of the guitar and the room, and we recommend you take some time to do this. If you place the mic too far away from the guitar you risk recording too much room noise, you lose definition and run the risk of increased noise from the mic preamp as you raise the gain. Too near, and you lose the feel of the room. Generally you will find a sweet spot in every location, where the blend between the two is best, but as a start, we would recommend aiming the microphone at the point where the Guitar neck joins the body. As a general rule, the closer you get to the soundhole, the warmer the sound, and as you move nearer the neck you get a more treble based signal. As regards the distance, this will depend on all sorts of factors including how hard the guitarist is playing, whether he’s using a pick or fingers etc. but start around a foot away and listen to how the sound varies as you move closer or further away. Finally, remember that guitarists are a varied bunch, one will sit beautifully still and play accurately with the minimum amount of fuss, while another will flail about wildly, creating creaks from the stool, hands squeaking up and down the strings, and it’s your job to capture the performance complete with all its nuances. Plywood is cheap and has a shiny side. A couple of sheets 5’ X 3’ are a useful thing to have. You can put them in front of a guitarist to allow the sound to reflect off the shiny side, and this will have a big affect on your recorded sound. Nashville tuning, is a trick used by some session players to create a really bright and jangly sound. Simply replace the bottom three strings of the guitar (the thick ones!) with another set of top strings. You can then tune the ‘new’ bottom three strings a full octave above where they should be and create a very Jingly sound indeed.